When you own a business or run a facility, the less you need to think about your HVAC needs, the better. It can be a tough balance, keeping your employees and customers comfortable while keeping your energy costs down. When you need the experts to install, repair, and maintain the HVAC system in your school, lab, office, manufacturing warehouse, church, or whatever other facility you run here in El Dorado Hills, you can rest easy when you call California Energy Services. With over 25 years of experience in keeping commercial facilities comfortable and energy efficient, we will get your HVAC system running at its best to save you money and headaches. Making the right initial HVAC investment in your commercial space will start your facility off right. With expert installation, you can be sure the comfort needs of your entire space are served efficiently and with longevity in mind. California Energy Services professionally installs commercial HVAC systems and will make sure you have all the tools you need to keep your facility at the perfect temperature. Looking to protect that initial investment? The best way to avoid any costly breakdowns in your HVAC system and increase its life expectancy is with a commercial maintenance plan. Depending on the needs of your facility, it may be more beneficial in the long run to invest in a new heating and cooling system. Over time, an outdated and inefficient system can cost you more money than it would to just replace it with a newer, more effective system. Similarly with ductwork, a system riddled with leaks may cost you more to repair then to just replace. We want you to be properly informed, armed with all the right information to make the best decision for your commercial space. When you need your facility to be as comfortable and energy efficient as possible, get a hold of the experts at California Energy Services. You deserve the peace of mind that comes with knowing your HVAC needs are taken care of by the professionals. 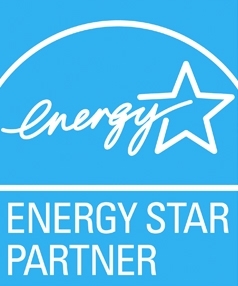 For the best in commercial installation, repair, and maintenance in El Dorado Hills, look no further than the experts at California Energy Services. Is your commercial facility in need of true comfort? Get your commercial HVAC system in tip top shape with California Energy Services. Call us at 916-737-1107 or contact us today! Struggling to keep you commercial facility comfortable?